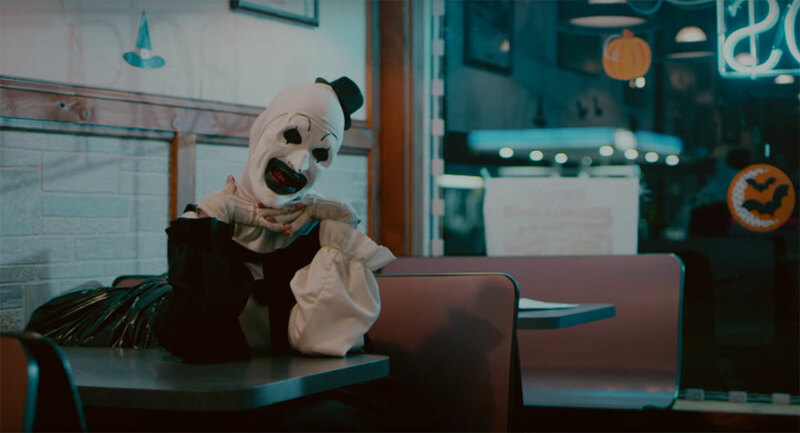 In Damien Leone’s highly anticipated new film Terrifier, actor David Thornton dazzles as one of the genre’s most menacing and memorable killer clowns. 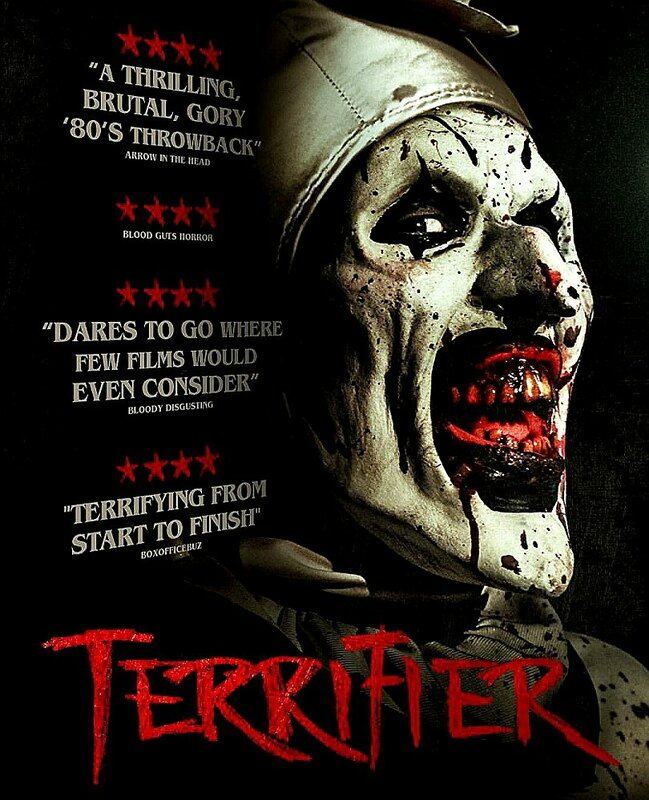 The indie slasher Terrifier, spearheaded by the wonderfully demented Damien Leone, has finally been unleashed upon Horror fans. Brought to us by Epic Pictures and Dread Central Presents, the film follows bloody exploits of a merciless mute clown known as Art the Clown. 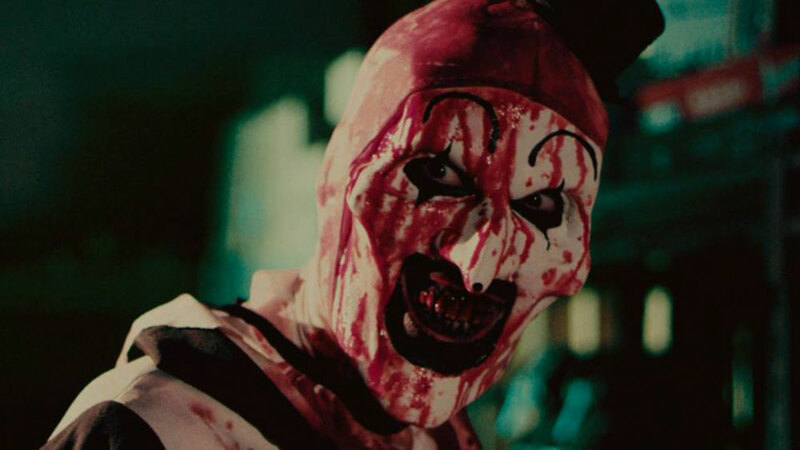 Already a fan favorite even before the release of the feature film, thanks to his appearance in two of Damien’s short films and the anthology film All Hallows’ Eve, Art the Clown finally gets the feature film treatment he deserves — and slasher fans have been demanding. 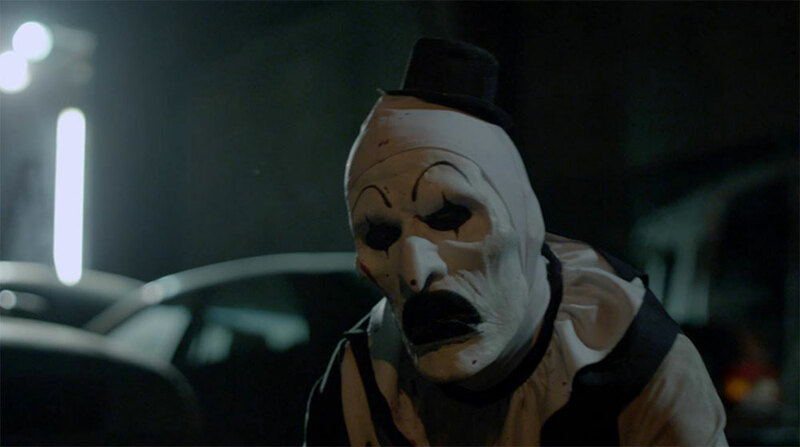 This time around, actor David Thornton makes his feature film debut as Art, taking over the reigns as the terrifying killer clown from Mike Giannelli. While Giannelli’s performance was strong enough to create a rabid fan base for the character of Art the Clown, Thornton’s portrayal launches Art into a new stratosphere — easily creating a new slasher icon for this generation. Thornton is a master of his craft, and I was thrilled to have the opportunity to chat with him about his chilling and memorable performance in Terrifier. Danni Darko: When you went in to audition for Art The Clown, where you aware of the level of gore associated with the film? 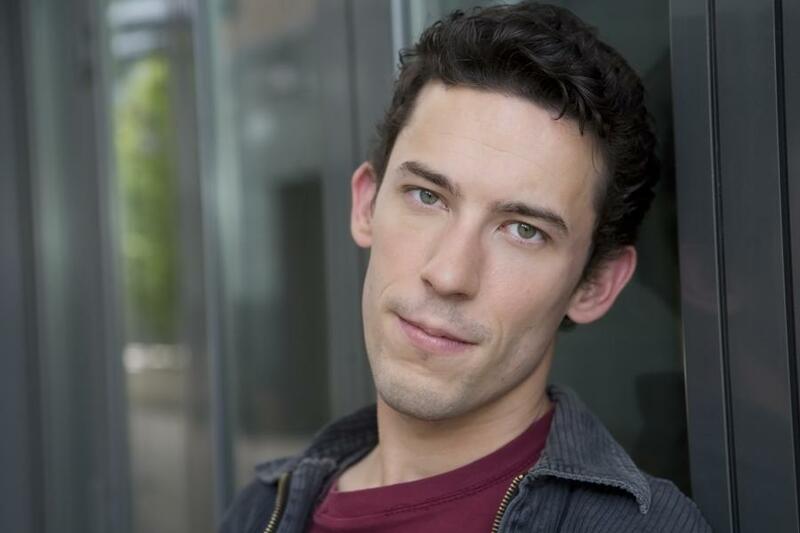 David Thornton: Oh yes, indeed! I am a big on researching roles if there is already a history behind what I am auditioning for. I watched All Hallows’ Eve several times to get the basic concept of what Mike Giannelli originally brought to the character, so I was well versed in the amount of gore that would be involved in the film. This was my first foray into this genre (I’ve always done comedy and musical theater), so I was excited to see how all of the practical effects would work. I was definitely not disappointed. Damien is a truly skilled artist in this genre! I am glad he is finally getting the recognition that he rightly deserves! 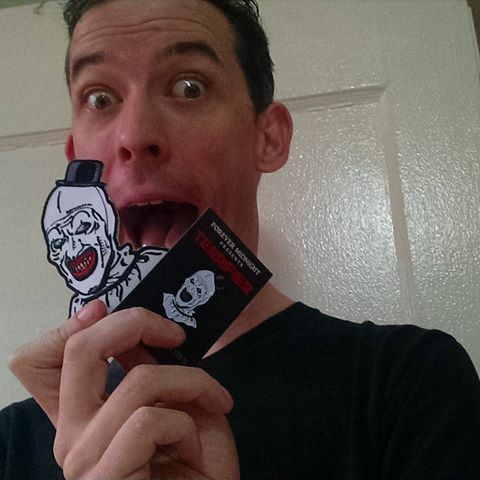 DD: Being your first feature, how does it feel to see merchandise, social media posts, etc with Art The Clown? DT: Surreal. Simply surreal. I’ll be honest, I have wept tears of joy over it all. I never imagined that such things would happen in my life. It truly has been a mind-boggling and humbling experience. I just fills me with so much joy that people love this character! To all of you fans that have made this happen, I want to say a hearty thank you to you all. You have each helped a young geeky boy’s dreams come true! I’ve always had a dream of having an action figure made of me, so hopefully that dream will come true one day soon as well. DD: How would you describe your time portraying Art? DT: An absolute blast! Sure, there are certain challenges to the role, and some levels of discomfort because of the long make up process and extremely late nights of filming, but it is all worth it in the long run. That was our mantra on set, especially when things got tough. It’s all worth it, especially if it makes the fans happy. This type of work, is not really work to me — it is pure joy. I feel incredibly fortunate to have such an opportunity such as this, and definitely look forward to returning to the character in future films. There is still MUCH more that I want to explore and play with with the character. DD: Was playing a character who is completely silent challenging? DT: Yes it was, but a very fun challenge to attempt! You see, I’ve always thought one of my biggest skill sets, as an actor, is my voice. I have been doing character voices since I was in the 1st grade when I discovered that I could do Goofy’s voice when a girl in my class passed me a note during story time asking me if I would be her boyfriend. I let out a ” Gawrsh! Ah hyuk!” and my destiny was made. I now do over 200 voices and 25 dialects. I’ve always relied on this skill set as an actor and never try to use the same voice twice. This role took away my biggest skill set, and instead I had to rely on using my face and body to convey meaning and intent instead. Fortunately, my parents gave me a great cinematic education growing up. I was introduced to the silent film actors, like Chaplin, Keaton, Harpo Marx, etc as well as great physical comedians like Ray Bolger, Rowan Atkinson, Jim Carrey, Doug Jones, etc at an early age and was enthralled by what these talented actors could accomplish physically. As an actor, I am constantly watching other actors and absorbing what they do like a sponge. Luckily, I also had an amazing mentor that helped me fine tune my skills. I was Stefan Karl’s understudy as the Grinch for 5 years when I toured with “How the Grinch Stole Christmas: The Musical”. You might know him as Robbie Rotten from the hit children’s show “Lazy Town”. Stefan is an amazingly talented man, especially in the world of physical comedy. Understudying him was akin to taking a master class in comedy. I learned so much from him during those years and was thrilled to apply his teachings to Art. There were several times where I would think to myself “What would Stefan do?” on set, and then I knew where to go from there. One of the biggest pieces of advice that I will give any actor is to watch and learn from those in your field as well as the world around you. You never know where you will find inspiration! DD: What were you determined to bring to the table when it came to playing this murderous Clown? DT: Well, I had big shoes to fill, literally, from the original Art, Mike Giannelli. Luckily, he gave me a great template to start with. I was determined to bring more of an actual clowning element and my own unique blend of dark humor and physicality to the role . What a fun challenge it was to merge physical comedy and such a murderously violent nature into this character of Art! He’s like a huge loving mixture of so many horror icons with a dash of Mr. Bean and the Joker. I still feel that I have only scratched the surface of him and can’t wait to dig in deeper with him in the future! DD: Finally, are you a fan of horror? Any favorite movies, filmmakers, actors? DT: Definitely so! Though I was not one until around my senior year of high school when I was dragged to Scream 2 by my friends. My mom hated horror films since they scared her so much, so they were not really allowed in our house (except for my dad who watched them late at night after I went to bed). After seeing Scream 2, I watched SO many films during my college years, especially those from the 70s and 80s. I loved them all, especially the Elm Street films, It, and Texas Chainsaw Massacre. I am a huge Carpenter, Craven, and King fan. As for my favorite horror actors, I would say both Tim Curry and Robert Englund. I definitely found a lot of inspiration for Art from their work in horror. Learn from the best, I always say! Now if only I could get cast as Richie Tozier as an adult in the “It” sequel! How cool would that be to see Art and Pennywise in the same film going up against each other (more or less)? A man can dream! I’m ready for my close up Mr. Muschietti! LOL!